Physiotherapy can help you achieve optimum physical and mental development. The aim is not just to help you move, but to move to the best of your ability. Initially you will be offered a preliminary assessment by our of our specialists in a friendly and relaxed atmosphere. You may choose this to be your own home, school, college, clinic or other. At this appointment there will be a discussion regarding your concerns, a physical observation and assessment of your abilities. We will not only be looking at what you can and cannot do, but how you do it. Our physiotherapists are trained in observation of the quality and ease of movement and the willingness to attempt activities. We strive to make the assessment a relaxed and positive experience centred around your needs, priorities and aims. Once the main problems are identified we will discuss how we can help, what we can offer, how often treatment needs to be, the progress we would expect to make and other relevant issues. Short and long term goals will be set in discussion with you, your family and suppport team. These goals will be realistic for everyone and will be reviewed on a regular basis. 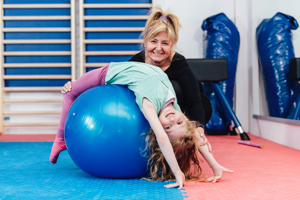 At Physio4kids & Young Adults we believe you, your family and your wider team are an integral part of your rehabilitation journey and we strive to work in partnership to best facilitate your physical progress. 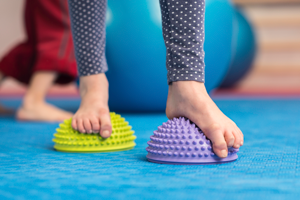 At Physio4kids & Young Adults we understand children learn through play, movement and exploration of their environment. We will make all sessions as enjoyable and fun for your child as possible. We also understand the needs of young adults are different. We know physiotherapy should be relevant to you and your lifestyle. With this in mind we can work at the gym, swimming and leisure centre if required.